All transaction are governed under the laws of the State of California which apply to and interpret your and Powersportsmax.com's rights, duties, and obligations arising from these transactions, as supplemented or modified by this Agreement, without regard to conflict of law principles. 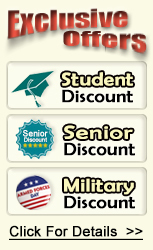 Powersportsmax.com will only accept your order only if (1) you accept the terms of this Powersportsmax.com Acquisition Agreement ("Agreement"), (2) you provide a valid ship to address within the United States, and (3) The Product or Service is available. You accept the terms of this Agreement by clicking to accept these terms and completing your transaction when ordering online or, when ordering by any other means, by opening the package containing the Product. After you place order, you can cancel your order within 1 hour by phone or email without any charge. If you want to cancel your order, please call us at 888-473-9826 or email your cancellation request to service@maxpro-llc.com during our normal business hours. Powersportsmax.com usually starts to process your order on the same business day. Our early order processing works include address verification, shipment document preparation, charge your credit card (we will be charged by credit card company for transaction fee), and notify warehouse to pack your item. Therefore, if you want to cancel your order after 1 hour, you will be subject to 6% order cancellation fee. Once your item has been sent to warehouse, your order cannot be cancelled. If you choose to cancel your order or refuse delivery after your order has been shipped, you will be responsible for "To And From Shipping And Handling Charges" incurred in shipping your order and a 25% restocking fee. 1. All orders are processed between 24-48 business hours. During holiday season, due to extremely high volume, it may take 48-72 business hours to process orders. 4. For merchandise over 100lbs/box, it will be shipped by professional LTL trucking company. For merchandise less than 100lbs, it will be shipped by FedEx. 5. For shipment to Hawaii, Alaska, Puerto Rico, we advise customer finding a freight forwarding company in the US continetal states. The shipping you get when you place the order is just the minimum charge. Final shipping is based on destination zip code. 7. Powersportsmax.com will try our best to ship your order to your door. 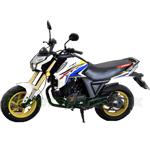 However, for some extremely large size motorcycles (Extra Large 250cc Utility ATVs, 400cc ATVs, Extra large 150cc Go Karts, Extra Large 250cc Go Karts, 800cc Go Karts, UTVs), trucking companies' life gates are not big enough to unload those vehicles. You are responsible to have several people to help the truck driver to unload the vehicle or provide us with an authorized business address with loading dock or pick up at trucking company local terminal. It is vital that you inspect your shipment immediately upon arrival, and note ANY damages to shipment, including damage to the shipping container. If there is ANY damage to your shipment, you must note this on the Bill of Lading when you sign for your package(s). You must also report any damages to Powersportsmax.com by phone at 888-473-9826 within 3 days of receiving your shipment in order for us to file a claim for any damages. If you report damages during that time, Powersportsmax.com will file the claim for you and ship out your parts free of charge. If you do not report damages to Powersportsmax.com within 3 days we will not be able to file a claim for you, and you may have to pay for any parts you need shipped to you and file the claim with your shipping company separately for reimbursement. Also, please do a complete box count and write on the BOL how many boxes you received before the driver leaves. If a package is refused without approval of Powersportsmax.com, the restocking fee will apply. If your vehicle sustained structural and frame damages beyond repair, please refuse delivery and contact us immediately so we can prepare to send you a replacement unit. If you receive your vehicle with minor damages, please accept the vehicle and take pictures of your vehicles and email to us. We will send replacement parts to you free of charge. 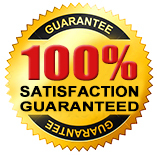 Customer is responsible to package the product as original for any kind of return. If the vehicle has been used and fueled, a return will not be accepted. The return policy will be voided. You may only return your vehicle for repairs. Due to health and personal hygiene concerns, all clothing and helmets are non-refundable. In no event shall Powersportsmax or its suppliers be liable for lost profits or any special, incidental or consequential damages arising out of or in connection with our site or items purchased on or through our site or this agreement (however arising, including negligence). Our liability, and the liability of our suppliers, to you or any third parties in any circumstance is limited to the User's cost of qualifying products purchased at the time of entering into the agreement. Qualifying products as acceptable for return as outlined in the return policy. Powersportsmax cannot confirm the price of an item until after your order is placed. 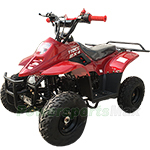 Pricing errors may occur on the Powersportsmax Sites or Powersportsmax stores. 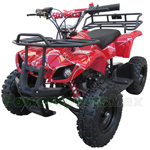 Powersportsmax reserves the right to cancel any orders containing pricing errors, with no further obligations to you, even after your receipt of an order confirmation or shipping notice from Powersportsmax. 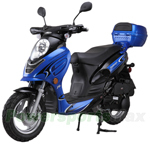 Powersportsmax may, at its discretion, either contact you for instructions or cancel your order and notify you of such cancellation. Pricing for products may be different on the Powersportsmax Sites or from prices available in Powersportsmax stores or on Powersportsmax mobile applications (pricing and availability remain subject to confirmation at checkout for mobile users). Warning! 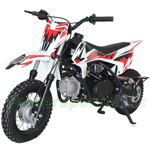 Riding activities of dirt bikes, scooters, ATVs, go karts, pocket bikes and UTVs involve the risk and danger of serious bodily injury including, but not limited to, disability, paralysis, dismemberment and death. These inherent risks and dangers may be caused by Purchasers own actions or inactions, the actions or inactions of others, participating or not participating in the activity, the condition in which the activity takes place, or the negligence of others. 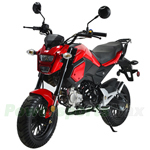 There may be additional risks, including social and economic loss, either known or unknown to Purchaser, not readily foreseeable, and Purchaser fully accepts and assumes responsibility for all such risks, losses, costs, and damages incurred as a result of Purchasers participation in motorcycles riding activity. 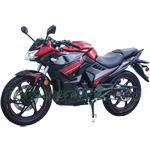 Purchaser is responsible for registering and operating the motorcycles in accordance with local and state laws and ordinances. 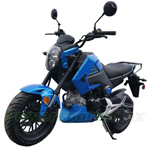 Seller makes no representations that the motor scooters, dirt bikes, go karts, pocket bikes and ATVs are legal for operation in your City and State. Customers have read and understood the use of these products before purchasing. Any terms of this Agreement which by their nature extend beyond the Agreement termination in effect until fulfilled, and apply to both of our respective successors and assignees. All legal issues, should they arise, are to be filed in South El Monte, California including but not limited to: litigations and small claims court cases. Powersportsmax.com will process, store and use information about your transaction and your contact information, include name, phone numbers, and e-mail addresses, to process and fulfill your transaction. Where permissible under local law, we may use this information to inquire about your satisfaction with our Products and Services, if we do so, you may at any time decline to receive any further communications from us.